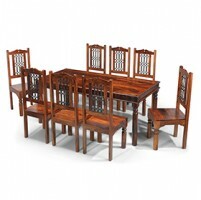 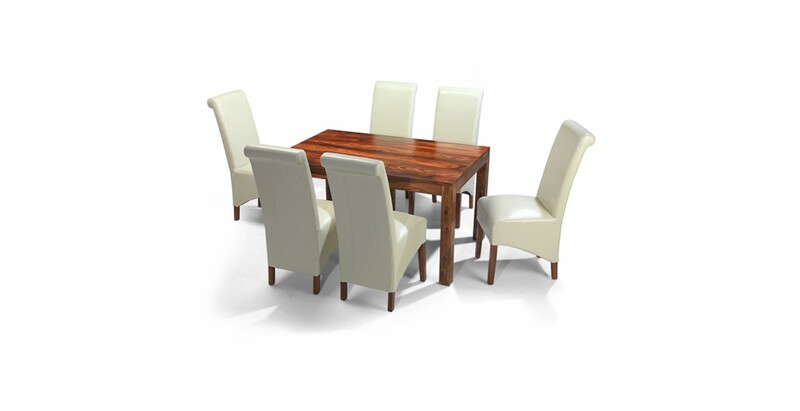 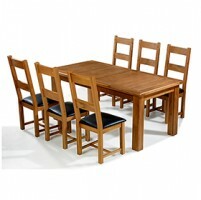 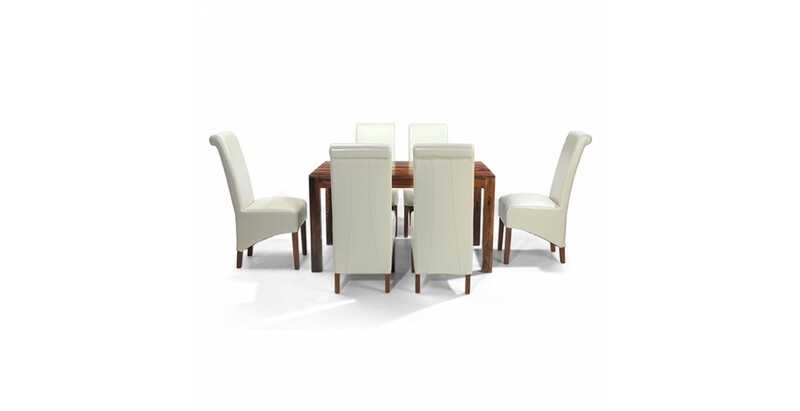 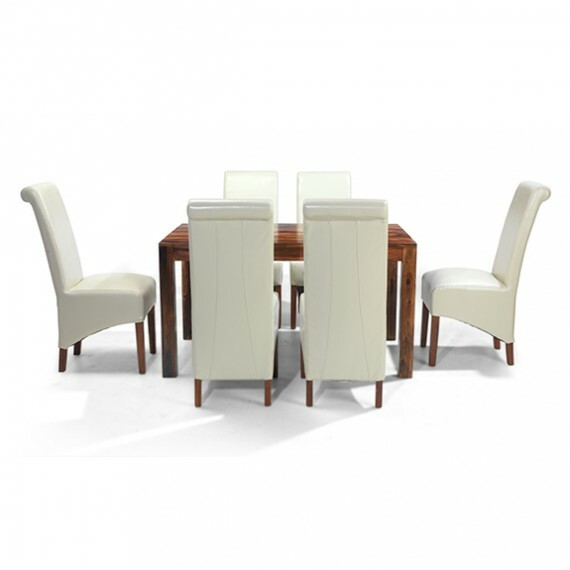 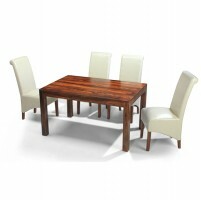 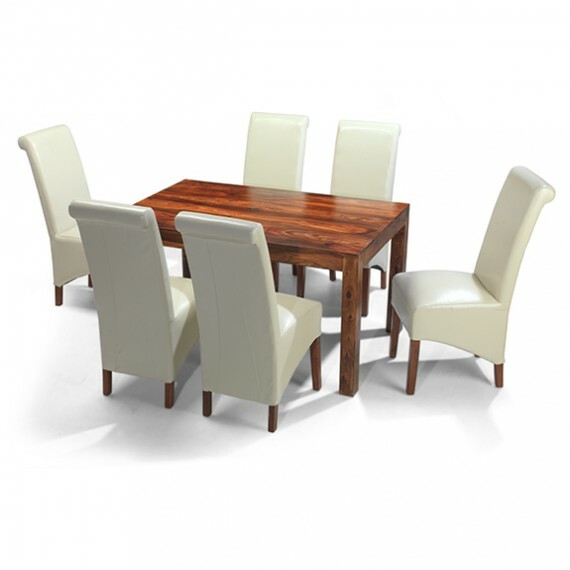 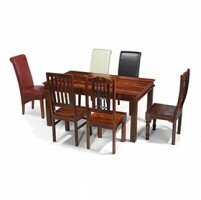 Perfect for gather friends and family around for good food and good conversation, this stunning dining set will make a fantastic centrepiece in your kitchen or dining room. 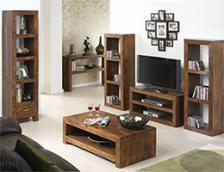 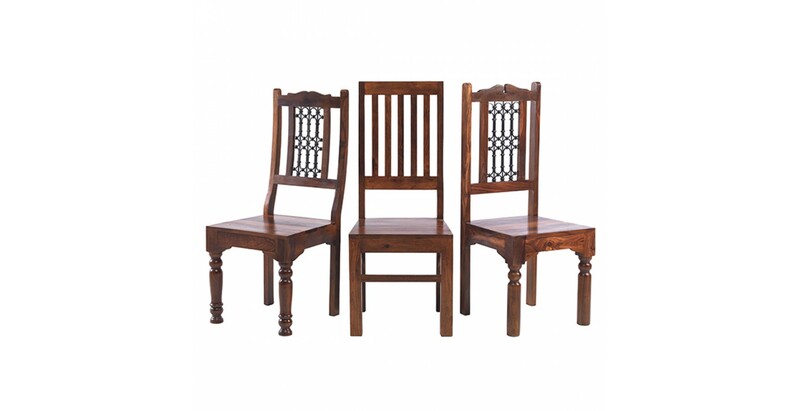 Made in India by skilled craftsmen from durable sheesham wood, its happy marriage of contemporary style and uniquely grained rustic warmth will look superb in a range of settings. 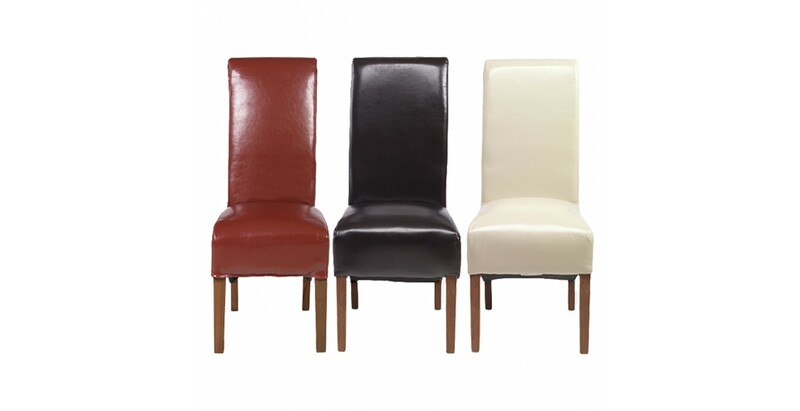 And because you and your guests need something comfortable to sit on, we've given you a choice of five chair designs to pick the one that will look best with your decorating scheme. 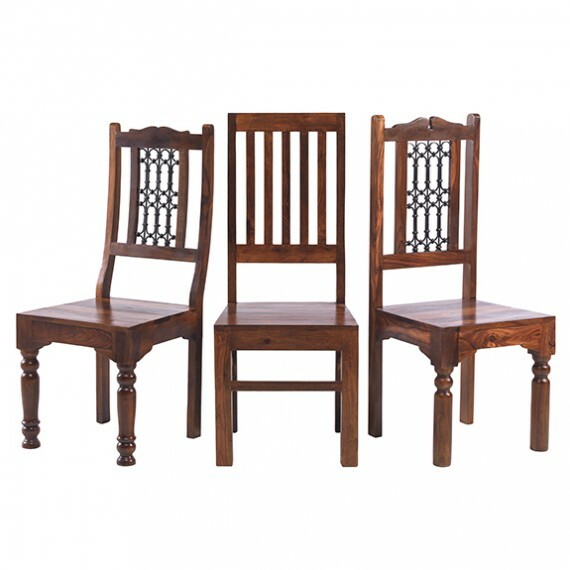 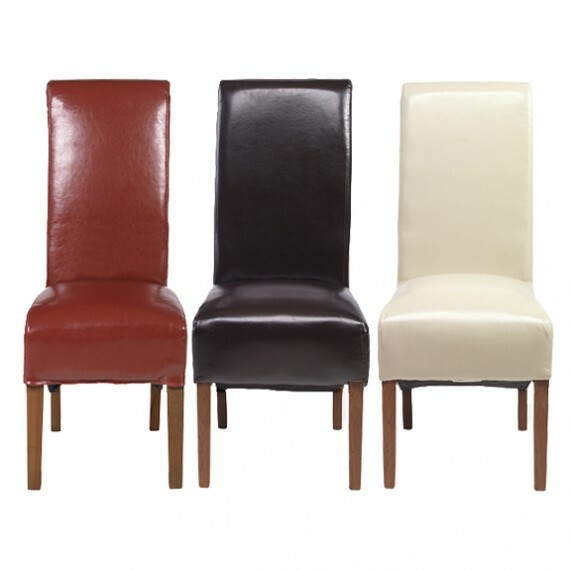 Choose from our luxuriously comfortable bonded leather chairs in brown, red or beige; our High Back Slat Chairs if you want something simpler; or go for our Jali High or Low Back Iron Work Chairs if a touch of colonial style is more to your taste.